A while ago, I was a part of a discussion on Facebook where a person (I assume he was young) asked for book recommendations, identifying sci-fi as one of the genres he was interested in. Another young friend recommended Asimov’s ‘Foundation’ series. The response was astonishing – the OP essentially said “Yeah no, that’s a classic, I’m not interested.” On being questioned, he elaborated that he was only interested in latest releases because he wanted to read about ‘society as it is’, not about something that was, in the past. 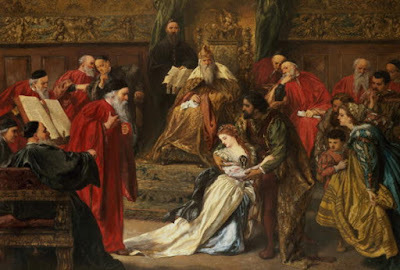 I replied wryly that my plans to recommend King Lear would probably not find favour with him, then, despite the Bard’s work being as relevant today as it ever has been, but since ‘irony’ seems to be one of those nuances that existed in the past and not in ‘society as it is’, the poster missed my point. It set me thinking, though. What is a classic? Why is it becoming a derogatory term? Personally, I never saw the distinction. When I read Great Expectations I approached it as any other book – to be read from cover to cover. And while the Slacker, aged 9, surely understood very little of the book’s sub-text of human nature in the face of greed and temptation, certain characters were ingrained in my mind even then – good old Joe the Blacksmith, haunting Miss Havisham, menacing Mr Jaggers, ever-distant Estella…and though it was a book set in Victorian England, none of these characters seem dated, to this day. 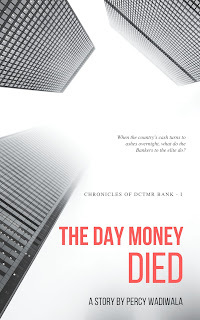 Ultimately, whether a book is worth reading, or not worth reading, has nothing to do with its publication date or even the times it deals with. If that were so, there would be nothing worth reading in the works of Tolkein or Wodehouse, who both, in their ways, wrote about worlds that never existed. A piece of literature is worthwhile for the emotions it invokes in the reader, for what it teaches us about the human condition, or about the heart, in conflict with itself. And sometimes, it so happens that a grocer’s son who lived 400 years ago, did that so well that superlatives still fall short and situations still come alive. 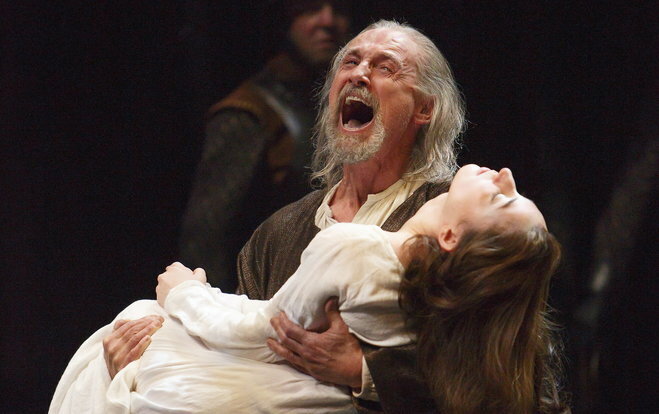 Like all plays, a textual reading of King Lear is destined to be sub-optimal. 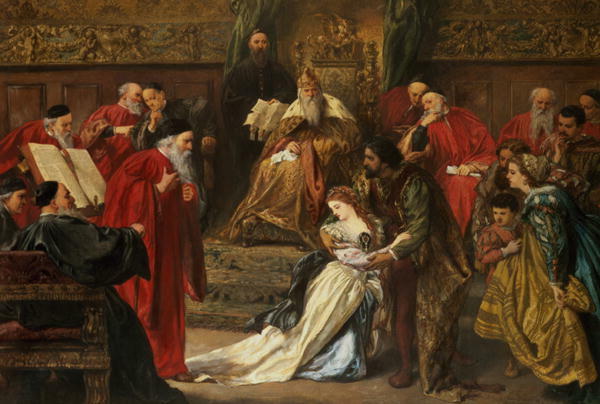 Shakespeare wrote plays, dramas, meant to be performed, and not read as dry text on paper. But while one should definitely watch Kurusawa’s “Ran”, or the movie versions featuring Laurence Olivier or Ian McKellan, there is much to admire in the text as well. 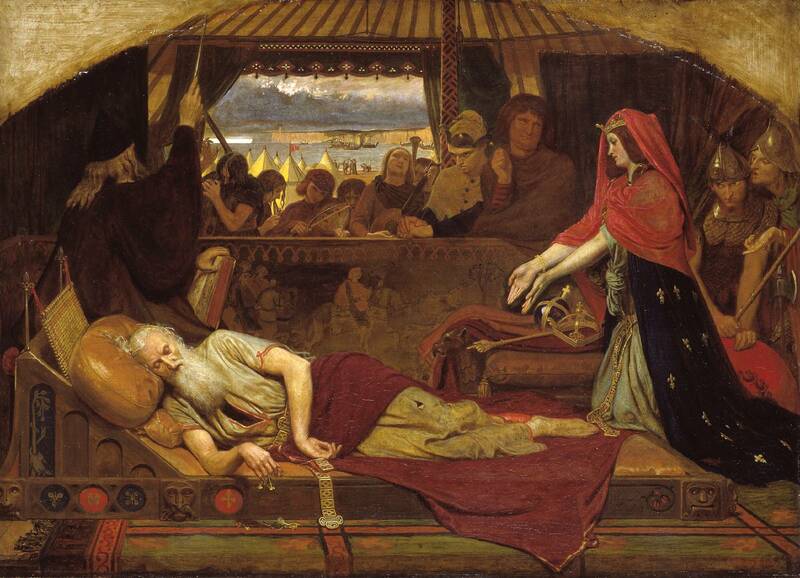 And Lear, stupid old Lear ends up an exile in his own land, having given away his Kingdom to his daughters Regan and Goneril, who after professing filial love in terms that would fit right into the Sanskrit epics, quickly throw their father out into the storm. 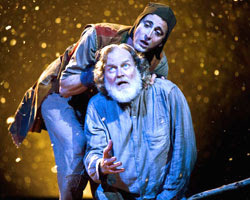 As with any Shakespearean play, some of the best lines are given to Lear’s Fool. Winter's not gone yet, if the wild-geese fly that way. Ne'er turns the key to the poor. 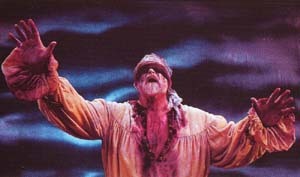 Being abandoned by both the daughters he thought loved him, leaves Lear embittered and delusional. Lear joins up with Gloster and the disguised Edgar, one truly mad, the other affecting it, and they move towards Dover, where the loyal Kent has sent word to Cordelia, now Queen of France, to come to the succour of her father. They meet, but he scarce recognises her for a moment before battle is joined. And here, if we expect triumph and redemption, we are to be cruelly deceived. Shakespeare did hopeless long before Dostoevsky, despair long before Rushdie and brutal major character death long before GRR Martin. 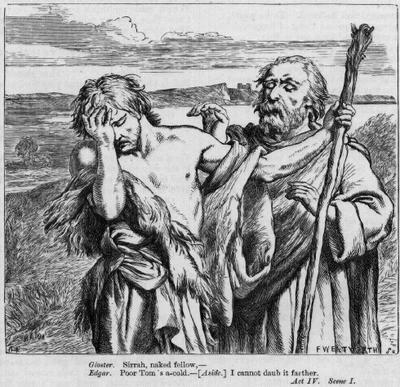 So no, the Gods do not favour the righteous, the battle does not go the way of the ever-loving Cordelia, and she and Lear both end up captive. 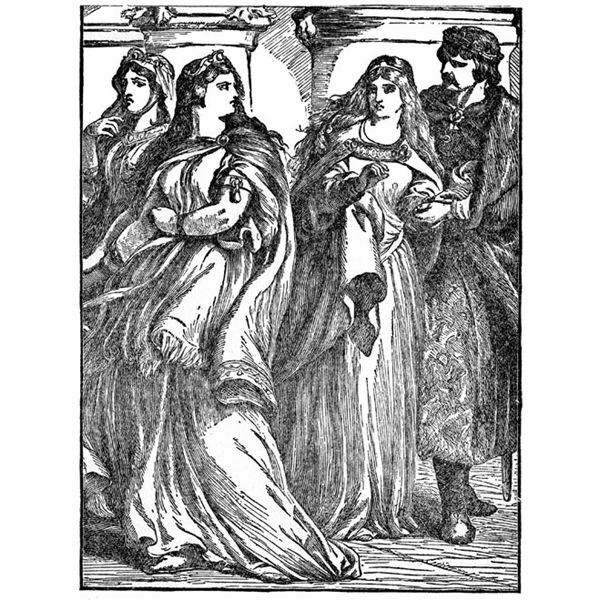 The triumph of the sisters Regan and Goneril is short-lived, both have fallen in love with the rascal Edmund, and Shakespeare gives them their just desserts off-screen, as a jealousy-induced murder-suicide robs them of any chance at redemption. It came even from the heart of--O, she's dead! 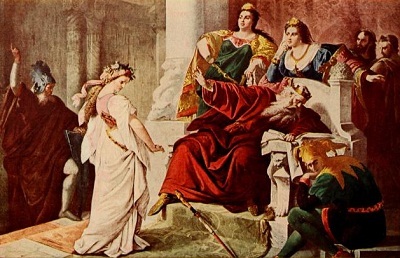 Edgar avenges his father by facing Edmund in a duel, and as Edmund dies, he at least tries to redeem himself by countermanding his last orders - to kill Cordelia, but there is no sweet ending for Lear. But hope is ephemeral for the wretched King. The play ended there, but it left me wondering – what part of this was out-dated or irrelevant? An over-indulgent father cheated by his children? A foolish man failing to see the true merit of modest love over fancily-decorated avarice? The reality that life is unfair, and no grand poetic scheme of justice exists? Odd, isn't it? To me it's the closing of the mind that's more troubling than anything else. Exactly! Such preconceived notions scare me...why has 'classic' become such a negative term? Isn't it precisely because they are so universally relatable and relevant that they are afforded that status, of being 'classics'? And what does it say about today's readers if they find them unreadable? You read GREAT Expectations aged 9. At that age I didn't even know that novels and existed. I had read King Lear two years ago, but reading your review now helped me understand it deeply. Hi - yes, odd though it sounds, the date on the copy I have indicates exactly this. Unabridged, at that. I'm deeply flattered that my write-up could help you understand this work. By the way, are you someone I know already? It's just showing 'Unknown' here. Always had a great regard and respect for your erudition and the ease with which you expressed your thoughts. Speak what you feel and not what you ought to?! Too big an ask in this make believe--you scratch my back and then I will consider whether your back deserves a scratching world? I think so. But in this one instance I can with all honesty say what I feel--feel wonderful to have read this amazing post. Youngsters these days are spoiled for choice--VR, AR, Consoles, PCs, comics, books that deliver a thrill on demand, chic lit, CB, Amish--so very many options that the demands on their time are always that much more. Earlier generations were a lil more placid and if the inclination was there, there was ample time to indulge in the best of the very best of literature. I am not sure what kind of traction the Bard would get these days--I read recently that people who were aware of him--the numbers were lower in England than in India! But being aware and being able to read and understand him are totally different, I suppose. 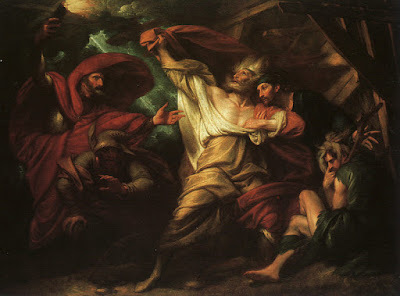 Thanks so much sharing the link to your post on King Lear, Percy! It is so brilliant! I loved it! I loved what you said - that the themes that Shakespeare's play addresses are timeless and are relevant to our times and every other time. This line from your post - "And sometimes, it so happens that a grocer’s son who lived 400 years ago, did that so well that superlatives still fall short and situations still come alive" - made me smile �� Thanks so much for sharing your thoughts and inspiring us all to read more classics.